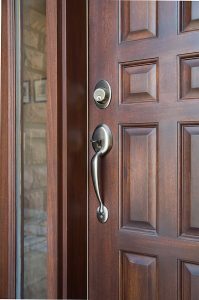 There are many reasons why homeowners replace their front entry doors. Maybe the wood has begun to rot or the weather-stripping is starting to come loose. Or, maybe the door still functions properly but you’re just ready for a change. Whatever the case is, the company to trust for top-of-the-line fiberglass entry doors and professional installation is West Shore Home. No matter which one of our fiberglass entry doors you choose, you can expect prompt and professional installation by our highly trained technicians. When installing your new entry door, we will treat your home with the care and respect it deserves, and won’t consider the job finished until you are totally satisfied with the work we’ve done. To explore our robust selection of fiberglass entry doors, or to schedule a free consultation to meet with one of our product specialists, contact West Shore Home today. We proudly serve the cities and surrounding areas of Pittsburgh, Harrisburg, Lancaster, and Tampa.